Nestled below the red dirt bluffs of southwestern Oklahoma farmlands, a small but important part of African American history sat waiting to be discovered. During the filming of local television documentary about Black history in Grady County, the Verden Separate School was rediscovered by Loretta Y. Jackson. 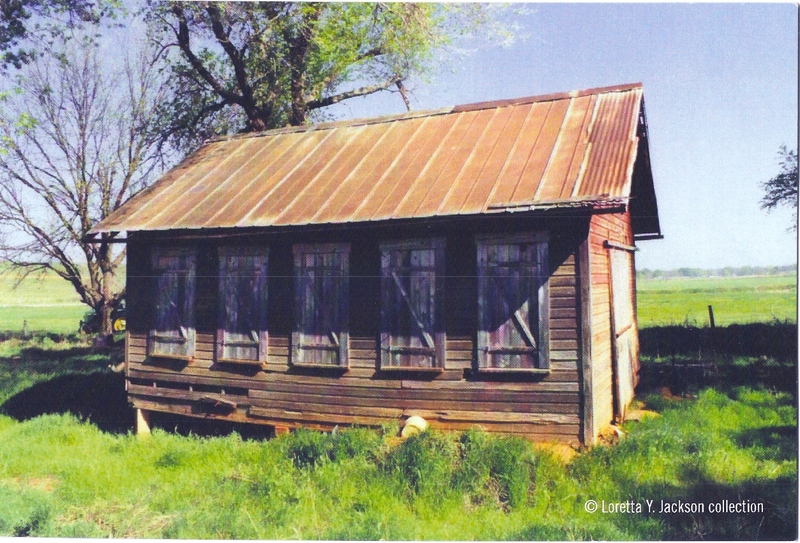 This early 1900s rural, one-room African American school was found on the Kay Loveless Lee farm. For Mrs. Jackson, a dream was born. Upon learning that this uniquely historical building was to be torn down and further learning that it was the only remaining one-room school built on African American land for African American children in the area, Jackson began to envision an exciting project that would include the moving , preservation, and restoration of this important part of early Grady County and Oklahoma African American history. An African American farmer, Allen Toles, had acquired the land through the Homestead Act of 1862, and became the owner of the land on May 14, 1909. The farm is located south of the small town of Verden, Oklahoma, a predominately white community then and now. The fact that Toles owned land was a monumental achievement. Of the more than 1.3 million homestead entries filed before 1900, only about half received a patent. After Toles' death S.C. Loveless, a white farmer bought the Toles farm and allowed the school to continue. Most African American families who lived in the area at the time Toles became a land owner, worked for white farmers in and around Verden. During that time in US history, "separate" schooling was the law. Hence "separate" schools referred to those schools for African Americans. African Americans arriving in Indian Territory (later named Oklahoma), came with a fevered thirst for education. Education was a symbol of freedom. For them, schooling meant the attainment of a formal education and embodied the emotions, rights, and priviliges that the status of citizenship inspired. Building a school and attending school, were for the African American, the light to a future no longer deferred. The students who attended separate schools carried freedom's dreams and hopes throughout the newly settled Territory. The importance of education to these hardworking African American families is apparent, as the rural one-room school was established on Toles' land soon after he became a land owneer. The school year for the children who attended the Verden Separate School however, was shorter than for other schools. The children were expected to work in the fields with their parents during planting and harvest, therefore often attended only when time and weather did not permit laboring in the fields. During the school year the parents provided room and board for the teacher. The children walked from their farm homes to school, sometimes through ice and snow. When in the summer of 1935, the students of the Verden Separate School were consolidated with the Lincoln Separate School in nearby Chickasha, the school was no longer used. It became a workshop and storage building for the then owner, S.C. Loveless. While conducting interviews for a film documentary, Mrs. Jackson came to learn more about the Verden Separate School. Her interest was aroused. From information gleaned from interviews with some of Verden Separate School's former students, now prominent elders in the Chickasha community, she began to research the status of the school. This beginning phase of the project culminated on June 24, 2004, when the Verden Separate School building was moved to Chickasha to become the cornerstone of the Loretta Y. Jackson African American Historical Society museum complex. Funding was provided in part, by a grant from the State of Oklahoma Department of Commerce and by donations received locally and from across the state and county. The project also, has been funded in part by a consulting grant from the Ruth and Allen Mayo Fund for Historic Preservation in Oklahoma, by the National Trust for Historic Preservation, and by a grant for roof replacement from the National Trust for Historic Preservation.